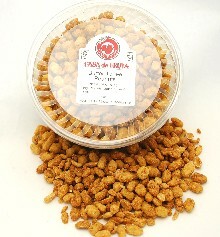 These peanuts are roasted and then glazed with a delicious coconut toffee mixture. Butter Toffee Peanuts will sweeten any party! Packaged in a 10 oz. tub.